American Horse Publications has been rounding up students with a career goal that combines their passion for horses and media for over 25 years. The success of this continued effort is a long list of talented young people who have become assets to the equine media industry. This year, two young women surfaced to the top of the judge’s list to become 2019 AHP Student Award finalists. They have earned an opportunity to meet leading equine industry professionals and discuss career possibilities during the AHP Equine Media Conference. Each Travel Award Winner will receive a $1,000 travel award to attend the High Desert Media Roundup in Albuquerque, New Mexico on May 30 to June 1 for three days of educational sessions and networking with professionals in equine media. American Horse Publications is pleased to announce Ruby Tevis and Lucile Vigouroux as the AHP Student Travel Award winners for 2019. Ruby Tevis is pursuing a degree in Marketing Communications, with a minor in Equine Studies at Midway University. 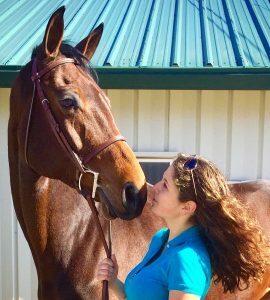 She has versatile equine industry experience, with an in-depth knowledge of dressage, western, hunt seat, and saddle seat. From an early age, this horse crazy girl would draw and write about horses for every elementary school assignment. She has since taken her love for all-things-equine and applied it to her passion for journalism. Tevis is a dedicated working student striving to become a dressage athlete. She serves on the Kentucky Dressage Association Board of Directors as the Junior/Young Rider Representative and co-edits their quarterly magazine. She also competes in Advanced Western Horsemanship with the IHSA at Midway University. Tevis is the daughter of Jennifer Tevis, Lexington, Kentucky. 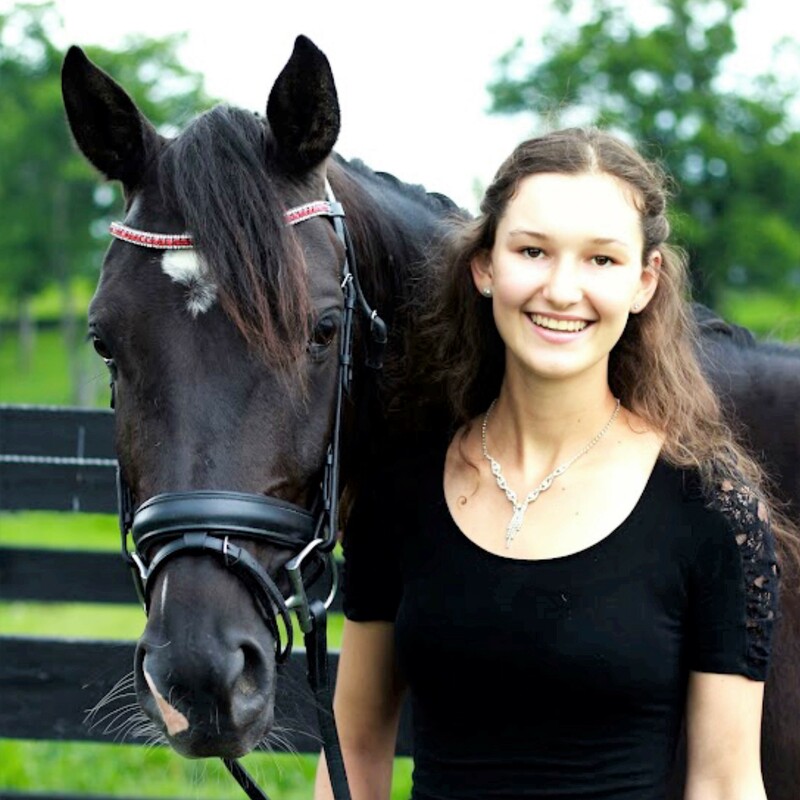 Lucile Vigouroux is majoring in Equine Studies with a concentration in Equine Science at Centenary University. She would like to go far in this industry, dedicating her professional life to helping horses and educating their caretakers. Outside of the horse world, Vigouroux enjoys travelling and visiting her family who reside in France and in Mexico. She is the daughter of Eric and Pascale Vigouroux. The finalists will be interviewed by the Student Award Committee on Thursday afternoon at the AHP Equine Media Conference in Albuquerque. One student will be announced as the 2019 AHP Student Award Winner at the Student Award reception co-sponsored by SmartPak on Friday evening, May 31, 2019. The Student Award winner will receive a cash award of $1,000. The runner-up will also receive a cash award. All cash awards are sponsored by AIM Equine Network. American Horse Publications is a non-profit professional association dedicated to promoting excellence in equine media and better understanding and communication within the equine media industry. In 2020, the association will celebrate its 50th anniversary. American Horse Publications offers students interested in a career in equine media with several opportunities to participate in its association. To request information about any of AHP’s student programs, please contact: Judy Lincoln, American Horse Publications, (386) 760-7743, e-mail: ahorsepubs2@aol.com. Information is also available online at the AHP web site at www.americanhorsepubs.org. One of the world’s largest enthusiast media companies, Active Interest Media produces leading consumer and trade events, websites, magazines, and films and TV shows that reach 40 million readers, fans and attendees in 85 countries. AIM owns the United States Team Roping Championships and produces the World Series of Team Roping, the second-richest equestrian competition in the world. The AIM Equine Network division brands include: The Team Roping Journal, EQUUS, Practical Horseman, Dressage Today, Horse&Rider, and more. The company’s other divisions—the Home Group, the Healthy Living Group, the Marine Group, the Outdoor Group and the Creative Home Group—also operate thriving B2B platforms, online universities and retail events.